Need register or sign in? Not registered yet? Register for the Basics to see all your search results. It’s FREE! If you want email alerts + all the other great features, you’ll need to subscribe to the Essentials. Finding and accessing funding often seems a complicated and difficult process. It shouldn’t be. Search Australia’s most comprehensive grants listing. Feature: Search | Level: Basics There is bound to be a grant for your project! We include Federal, State & Local Government, plus grant from corporate & philanthropic organisations. But wait: we list more than just grants! We also list rebates, concessions, awards, scholarships and more. See a sample grant. It’s free to search, simply register to gain access! Not sure what you are looking for? Browse is for you. 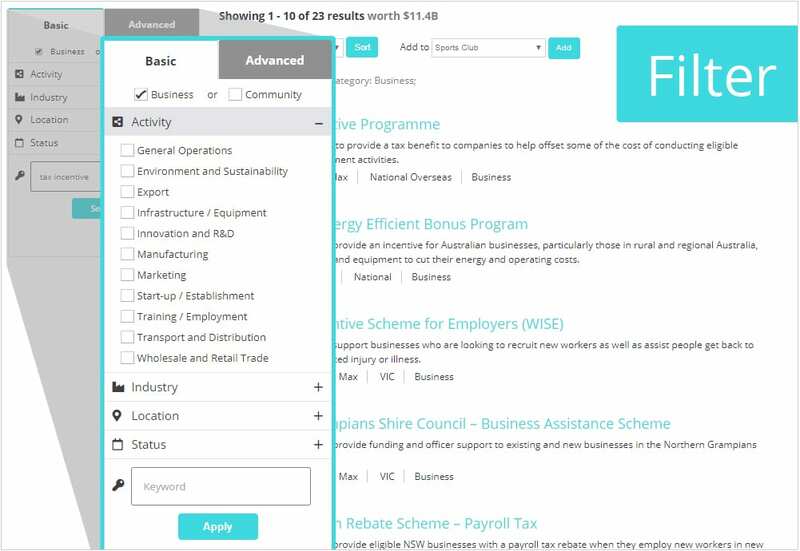 Feature: Browse | Level: Basics We classify grants whether they are for business, community organisations, researchers or council. Businesses can browse by industry, activity or location. 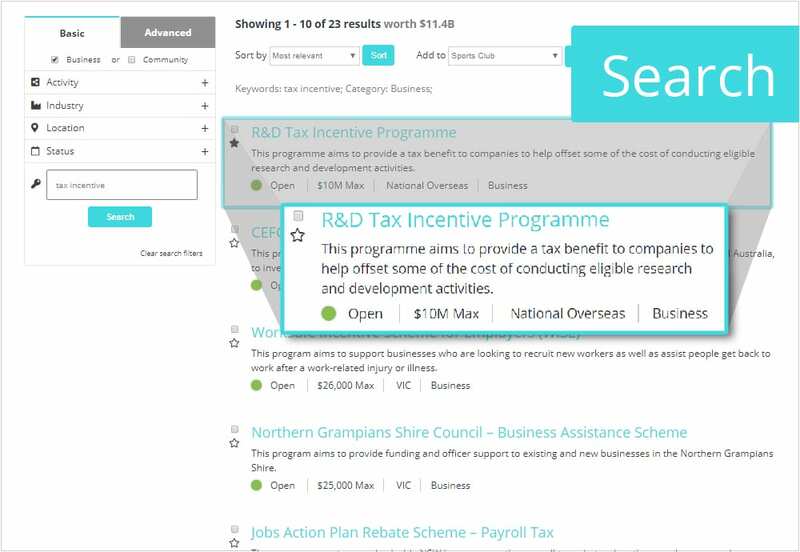 Community organisations can browse by sector/subsector or location. Its free to browse, simply register to gain access! Feeling overwhelmed? Filter it down. Feature: Filter| Level: Basics It is easy to find a grant for you. We know that you don’t want to wade through every program, so we have created a powerful search engine that is easy to use and flexible – extracting the right grants for you. First, simply select whether you are a business or community organisation. Using more filters will narrow down your search results. And for the more experienced, we also have an advanced search option. Its free to search, simply register to gain access! 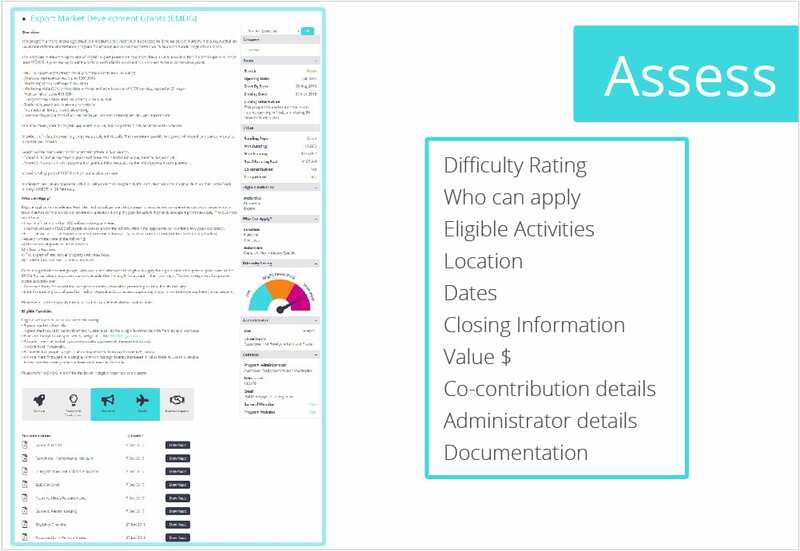 Feature: Full Grant Listing| Level: Basics Each grant program is summarised onto one page, all with consistent language, layout and types of information, so you can compare apples with apples. We provide start by dates, links to forms, guides and access to the people that run the programs. And we go beyond the hard facts and provide you with a difficulty rating, inside info and our expert advice. And so much more. Compare See a sample grant. Feature: Favourites | Level: Essentials Once you’ve found a grant, tuck it away for safe keeping in your favourites lists. We know that you might not want to apply for everything you find. So we have created a Shortlist favourites tool to keep an eye on relevant programs. And if you don’t want to apply for a grant this time around, we will remind you in time for the next round. 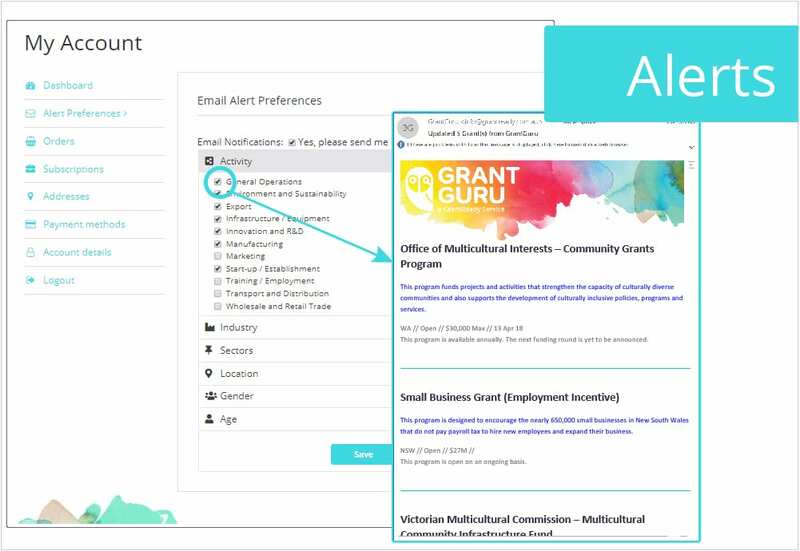 You can create multiple lists of grants, and sort and filter them! We recommend you create a list for each project you need a grant for. Don’t miss out! Stay informed with alerts. Feature: Email Alerts | Level: Essentials 10 new grants are added, and 30 open, every week. Set and forget with email alerts preferences – receive only relevant programs for new funding rounds, new programs and updates. That way you get grants direct to your inbox and tailored to your projects. Of course, you can change your preferences any time – you are in control! We’ll also email you when grants in your favourites is updated. We are the only service that truly personalises grant alerts! Keep track of opening, start by and closing dates. Feature: Calendar | Level: Essentials Our innovative calendar lets you visually see the dates on a timeline to quickly assess what is happening when. Not just the opening and closing dates! We also give you advise when you should start your application. 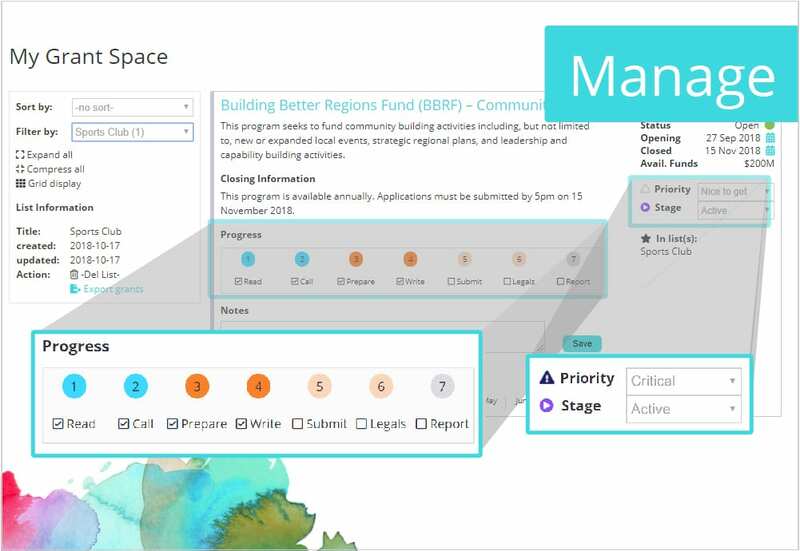 Feature: My Grant Space | Level: Essentials Manage Grants Prioritise, plan and track your progress. Finding a grant is only the first step. 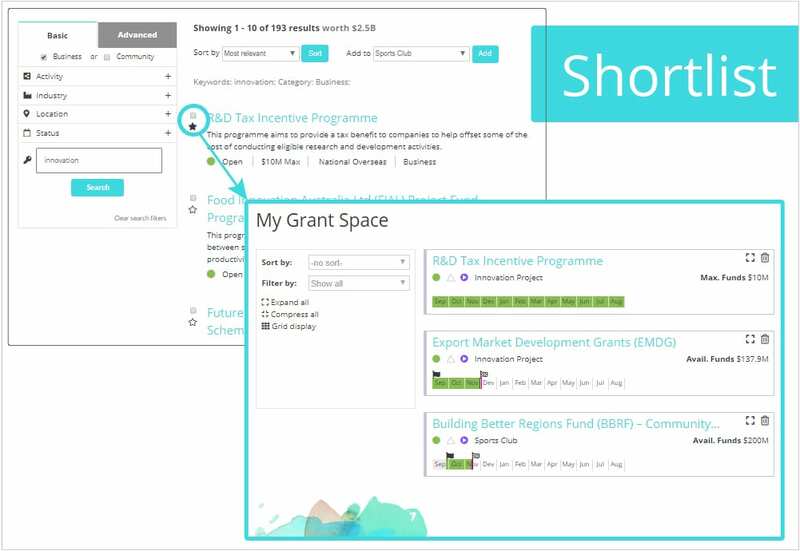 We know you want to be successful winning grants, so we have created a workflow tool to help execute and manage your grant strategy. You can prioritise, plan and track progress of applications by adding them into your ‘to do list’ – a helpful workflow management tool. You can: Shortlist: Add a grant here to save it for later. You can make multiple lists! Prioritise: Assign a priority to a grant, to keep on track. 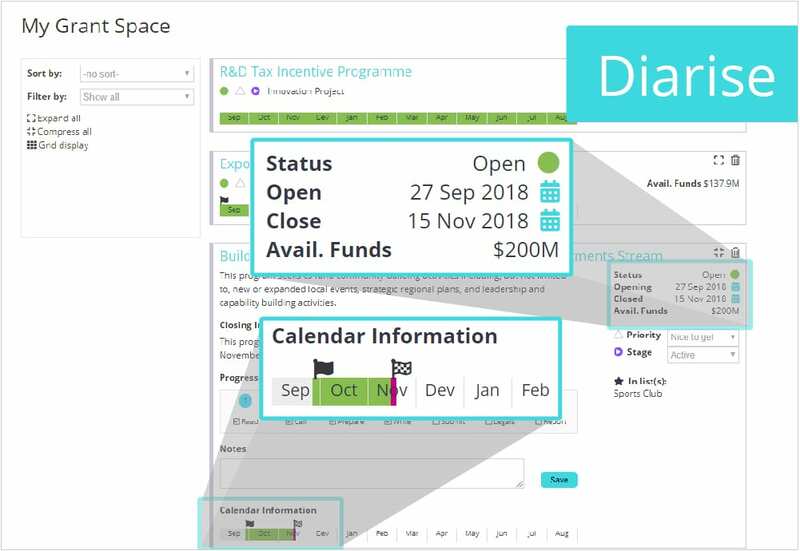 Diarise: Keep track of opening and closing dates Track: Add the grants you are applying for and track what stage you are at. Stay informed: we’ll alert you when one of your grants is updated. Access our Grant Writers Network. Feature: Grant Writers | Level: Basics Do it yourself, or find a grantwriter with the right skills and industry alignment. 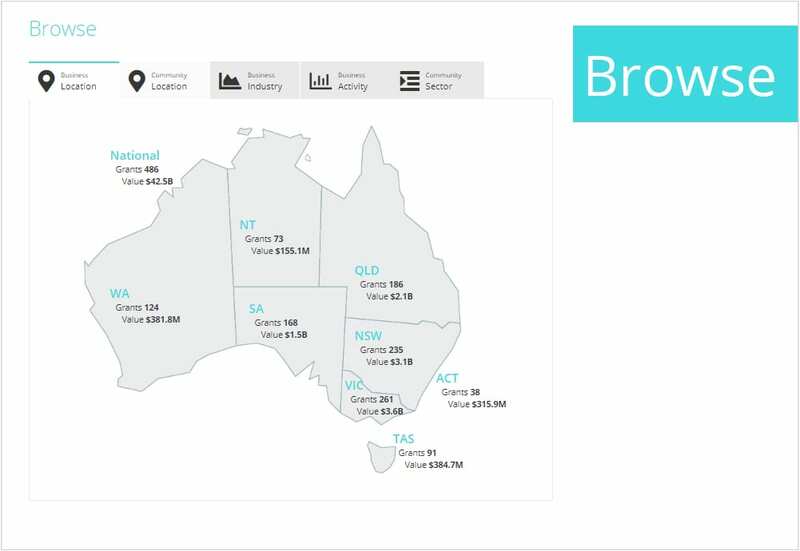 We allow you to connect with grant writers all over Australia with expertise across a wide variety of grant programs and industry sectors.